Location: Raby Castle is set in 200 acres of undulating parkland in the heart of the beautiful Durham Dales in County Durham. About your host at Raby Estate Shoot: The Barnard Family, Owners. A visit to the magnificent Raby Castle provides a fascinating insight into more than 600 years of history. Raby was built by the mighty Nevills in the 14th century and is one of the finest and best-preserved medieval castles in North East England. Since 1626 it has been home to the family of the current owner, Lord Barnard. He is proud of its heritage and passionate about sharing his family’s history and collections of art and artefacts with visitors. Raby Castle is set in 200 acres of undulating parkland in the heart of the beautiful Durham Dales in County Durham. The estate includes our newly refurbished Tearooms, Gift Shop and woodland play area. There is no entrance fee to visit these areas, so why not stop by for a coffee or a spot of lunch, perhaps on the way to the spectacular High Forcewhich is also part of the extensive Raby Estate. ­­­­­­Game shooting experience at Raby Estate Shoot: Lord Barnard's Raby Estate is renowned for its wild bird shoot and is one of the "50 Best Sporting Estates" according to The Field (March, 2010) described as "… mixed sport in stirring landscapes". 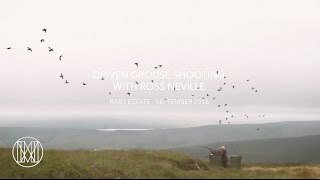 The Estate is split into two separate shoots: Upper Teesdale Estate, which is an upland shoot; and Raby Estate which is predominantly a low ground shoot. Comprising mainly of pheasants and grouse, a normal day might also include snipe, woodcock and wildfowl etc. The Estate also has good numbers of wild grey partridges, winning the G.W.C.T Durham and Northern Dales Partridge Trophy in 2011. Enquiries are welcomed from interested parties. Our efficient team of gamekeepers will endeavour to meet your individual needs and requirements, ensuring that your time at Raby will be enjoyable and memorable with the experience of truly wild game. Click here for quick link country guide. To select and book the top suggested hotels and accommodation in the area when shooting at Raby Estate Shoot, click here. by car or public transport to Raby Estate Shoot.